Three cities - Annecy, France, Munich, Germany and PyeongChang, Korea - were applied to host the 2018 Olympic Winter Games. In July 2011 at the 123rd IOC session in Durban, Pyeongchang, Korea won in the first round of votes with 63 of the 95 total votes. In 2010 and 2014 Pyeongchang, Korea was also a candidate cite and the third attempt became successful for city. President of Korea Moon Jae-in officially opened the 23 Winter Olympic games 2018. Norwegian female skier Marit Bjorgen won 2 gold, 1 silver, 2 bronze and became the most decorated Winter Olympians in history with 15 medals. 3 gold won Norwegian skier Johannes Hoesflot Klaebo and biathlete from France Martin Fourcade. Czech female athlete Ester Ledecka became the first woman to win gold medals in two different sports at a Winter Olympics with victories in the Alpine Skiing Super Giant and the Snowboarding Parallel Giant Slalom. Another female athlete from Netherlands Jorien Ter Mors also won medals in two sports - gold in the Speed Skating 1000m and bronze in the Short Track 3000 Relay. Russia's Olympic team has been banned from the 2018 Winter Games in Pyeongchang because of doping in Russian sports has a systemic nature. Clean athletes competed under the Olympic flag as Olympic athletes from Russia. 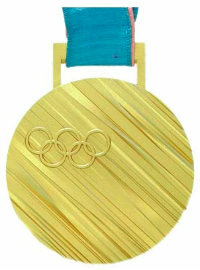 Norway and Germany won 14 gold medals each and repeated the record of the Canada in 2010.